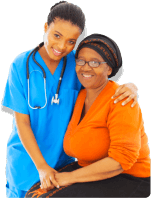 Click the button below to learn about the advantages of home health care. Have someone in mind who needs health care at home? Refer them to us. Old age, a medical condition, and/or an injury often affect the ability of an individual to live a comfortable and independent life. 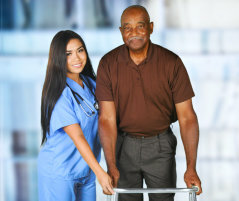 We at Aquinas Healthcare aim to help people who require support with their healthcare needs. Our services are delivered in a manner that maximizes our clients’ freedom and privacy while they remain at home. With us, you can rest easy knowing your loved ones are under the supervision of healthcare professionals. Let our family take care of your family. You can visit our services page to learn more about the home health care services we offer. Meet with our care coordinators for a thorough evaluation of your needs.